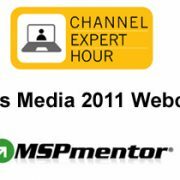 MSPmentor is the ultimate guide to managed services and the leading editorial platform for MSPs. MSPmentor stirs strategic dialog between platform providers, solutions providers, hardware and software firms, and other members of the MSP ecosystem. Through online advertising, sponsored blogs, sponsored e-newsletters, Channel Expert Hour webcasts, and our other unique offers, our sponsors gain high visibility with established and emerging MSPs. I just landed in Boston and I’m heading over to a managed services luncheon hosted by Do IT Smarter, Xerox and several other players. A few dozen VARs will attend the event, which seeks to help solutions providers transform their businesses into true MSPs. I’ll share some observations and attendee perspectives later in the day. Hi Folks. Thanks for visiting. Just a few quick updates on MSPmentor.net’s progress. We launched this site — a beta version — in late September. Since that time, several thousand VARs and managed services providers have visited MSPmentor.net. Here’s where we’re taking our growing reader base next. Company Overview: Headquartered in Lexington, Mass., OnForce is the only online marketplace for on-site technology services. 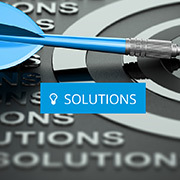 With more than 10,000 highly qualified service providers in virtually every U.S. zip code, OnForce can support your business, expand your geographic and skill set coverage and help you to better serve your customers. I didn’t have a chance to attend the recent SMB Nation conference in Seattle. But Larry Lentz, a Microsoft Small Business Server guru, spotted a few trends at the event — including some thoughts on manged services. You can find Larry’s observations over on his personal blog. Forgive me for this shameless plug, but here’s a prime opportunity for successful MSPs to step into the spotlight. Is your company among the industry’s top managed service providers? Click Here to take survey and your company could appear in our inaugural MSPmentor 100 list. The survey runs Oct. 15-Dec. 28, 2012. Results will surface in February 2013. Want to participate? Here’s the survey link.